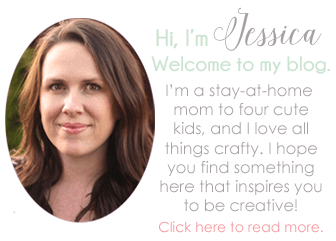 This Valentine’s Day I wanted to do something fun for my kids, so I created a countdown that is filled with small treats and toys. I included little notes with fun things we can do as a family and challenges to do nice things for other people. 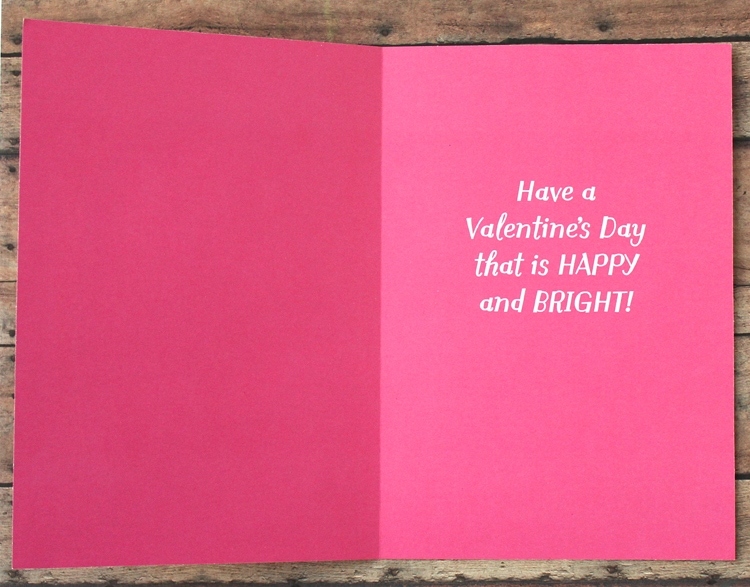 On the last day(Valentine’s Day), I chose a special Hallmark card for each of the kids. We wrote a personal note to each of them, telling them how much we love them and why they are special to us. Walmart has a great selection of Hallmark greeting cards. They are featuring a collection of Hallmark Signature cards for Valentine’s Day, a line of premium, handcrafted greeting cards. 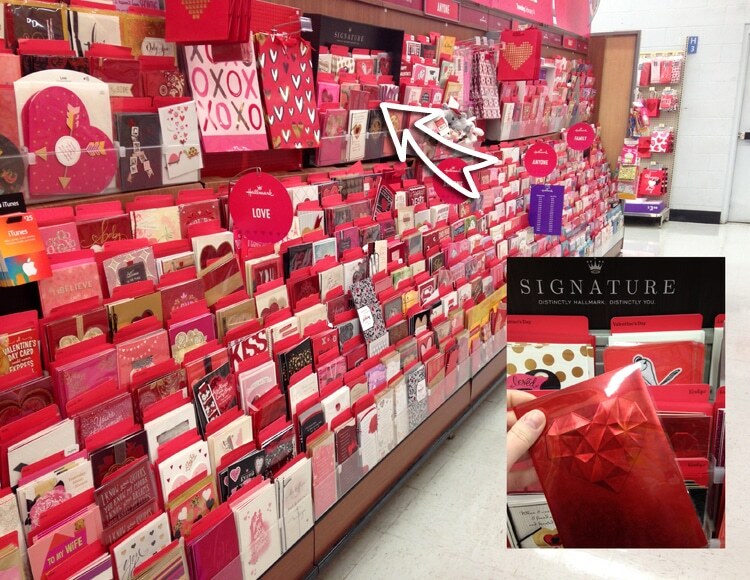 Currently, there is an in-aisle coupon offer to get $2 off a 2 card purchase (min $2 purchase required), expires 2/15. 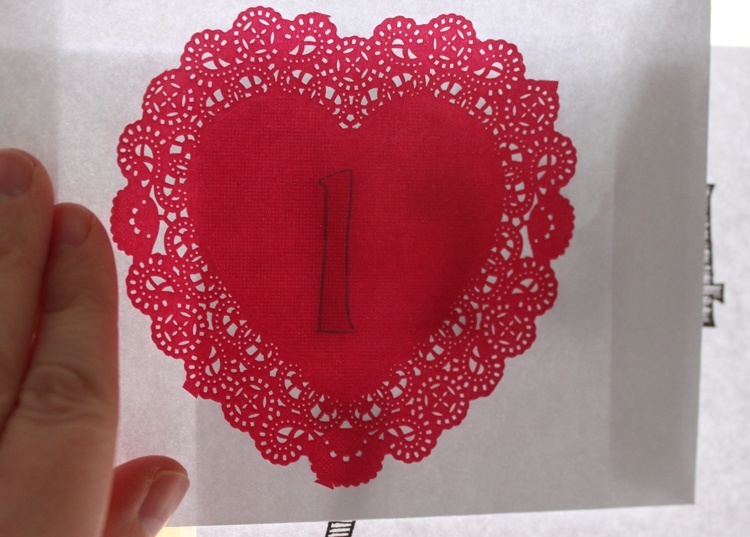 Use a glue stick to attach a paper doily to the front of seven of the white envelopes. Trace a number on each of the envelopes. I like to tape the number template to a window and hold up the envelope to be able to see better. 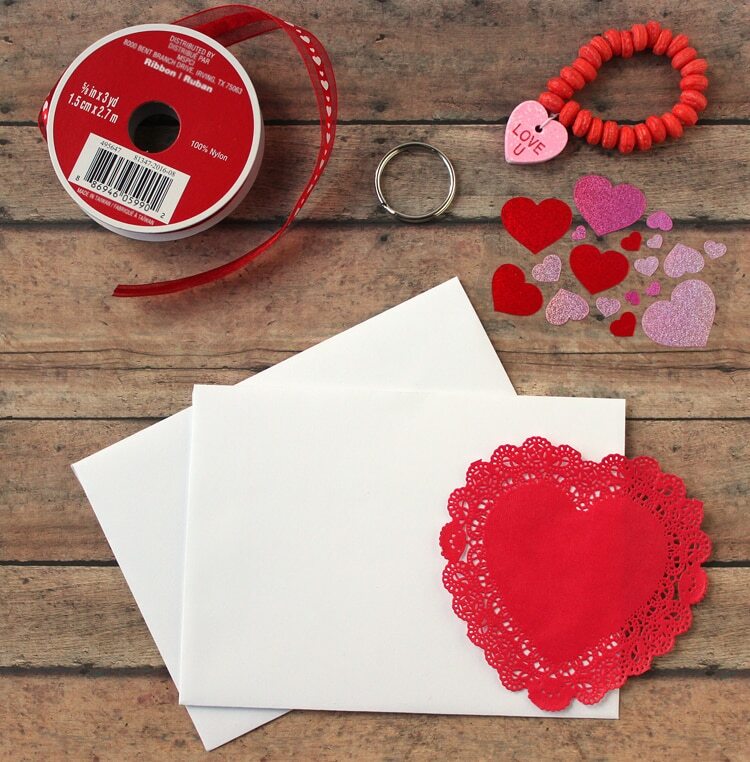 Make sure the doilies are on the odd-numbered envelopes. Trace over the numbers with a white paint pen or red marker. I didn’t want all of the envelopes to have treats and gifts, and some were too big to fit, so I wrote notes for some. Do something nice for someone today. See mom for a special treat. Roses are red, violets are blue, I have a special gift for you. 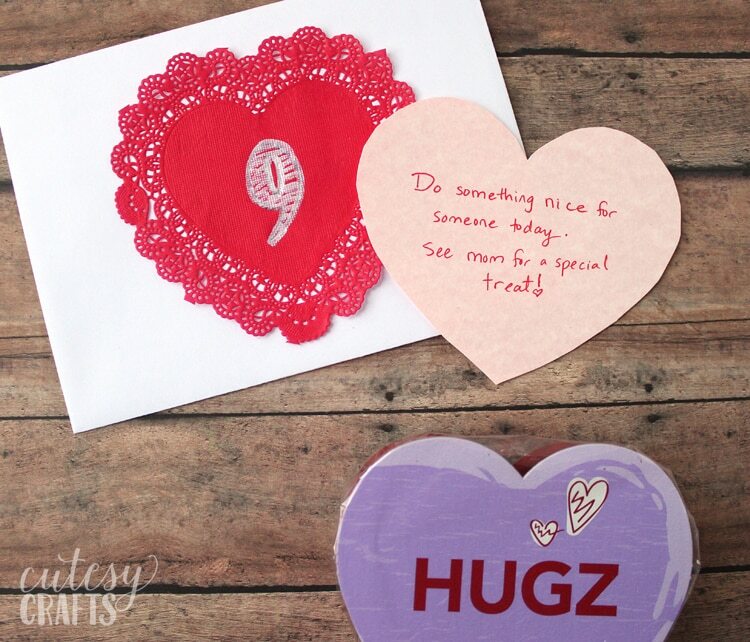 Make a valentine for grandma or grandpa. Mail it. Stay up 30 minutes past bedtime tonight. Find mom or dad and give them a great big hug! Do something nice for a sibling. Let’s go somewhere fun today! Let’s all snuggle up and watch a movie tonight! I put small candies, stickers, and gifts in the other envelopes. 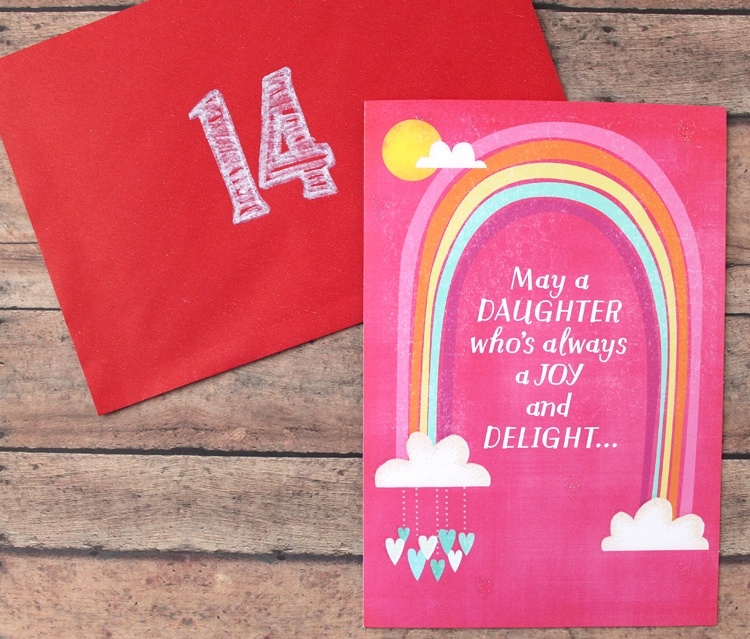 For day 14, I used the envelope that came with the Hallmark card that I bought. 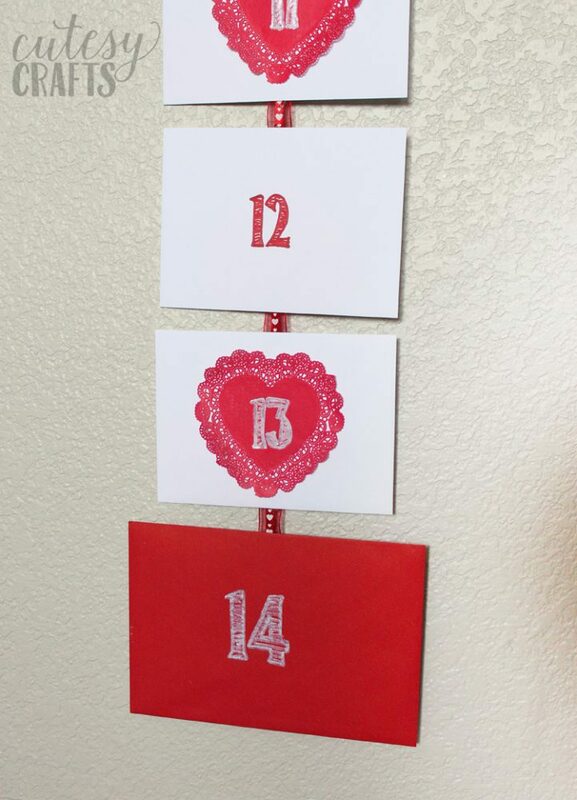 I made a separate countdown for each of the kids, so they each got their own card. This one is for Audrey. The girls are going to love the glitter on the cards I chose for them! I love the cards they have for kids. 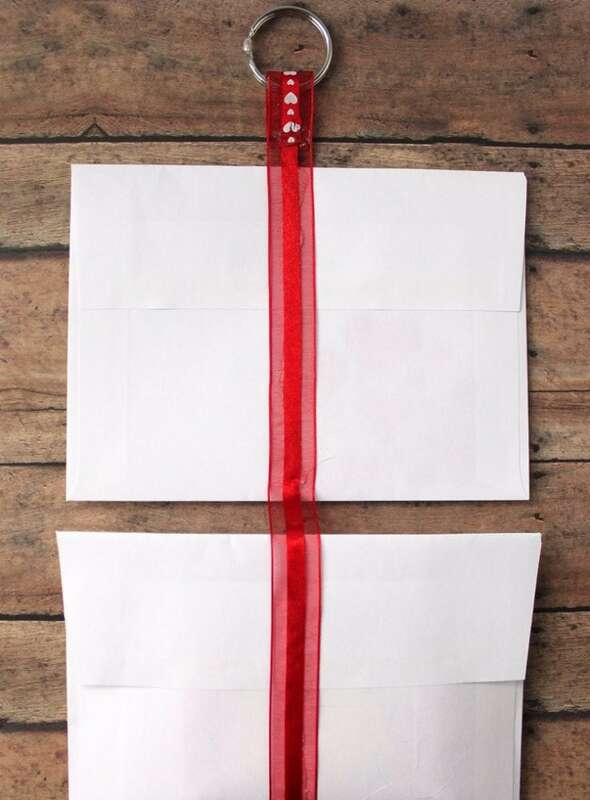 Once the envelopes are filled, seal them all. 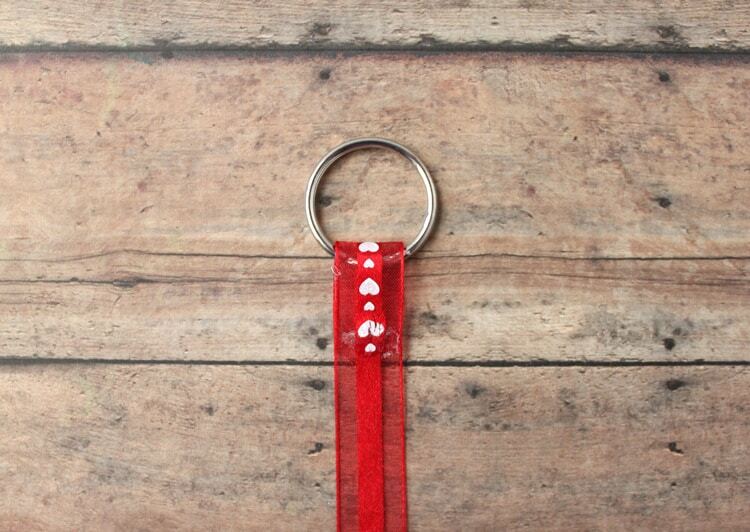 Use a hot glue gun to attach an end of the ribbon to a key ring. 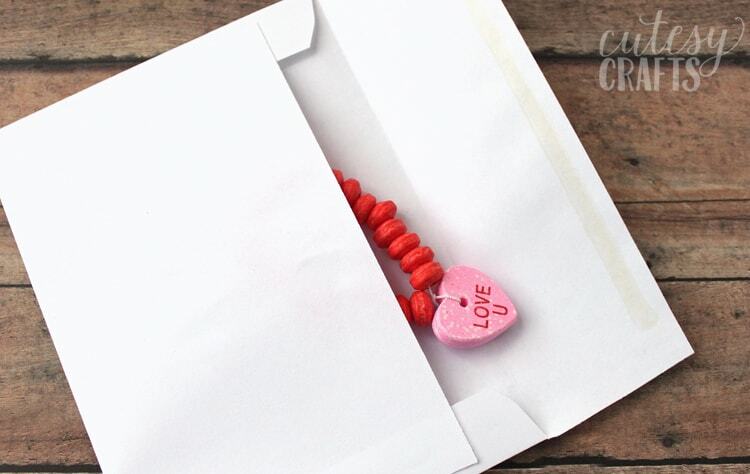 Put a line of hot glue down the back of each envelope, and attach them all to the ribbon. The chain of cards will be pretty long, so be sure to plan ahead and measure everything. 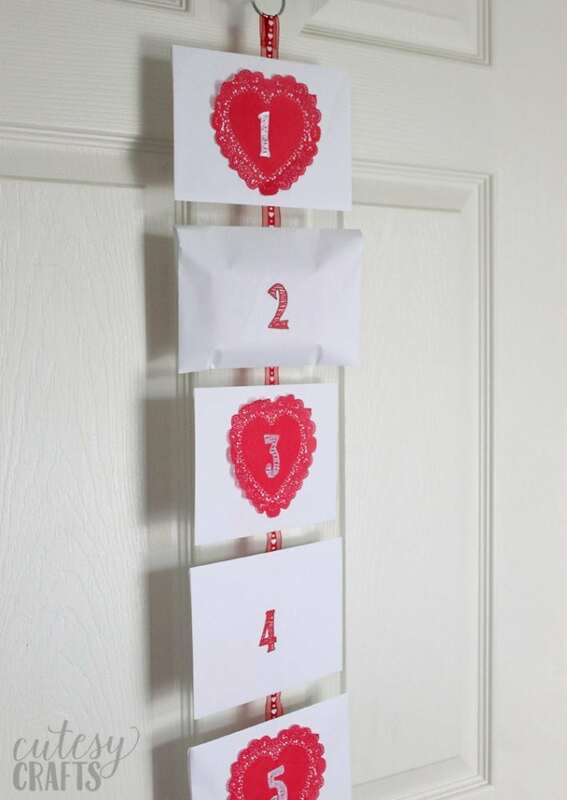 You should be able to hang the countdown from the top of a door or up on the wall. 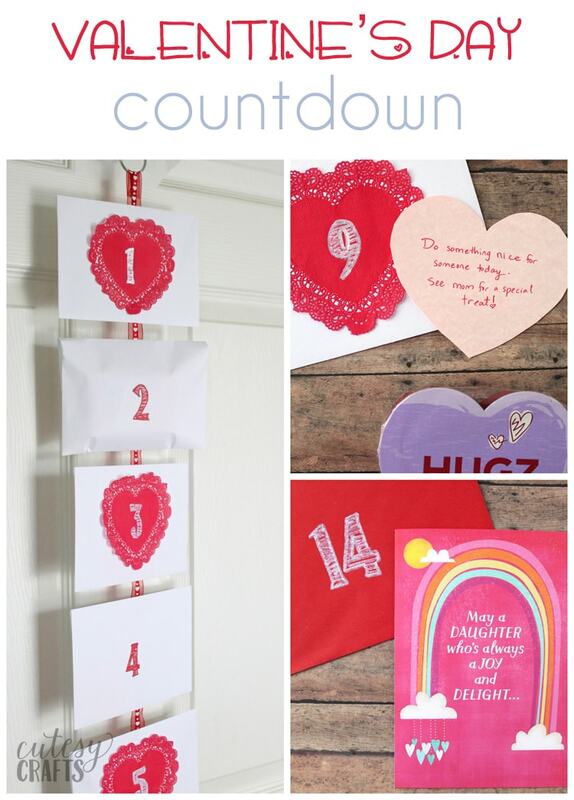 My kids are SO excited for February to come so they can start counting down to Valentine’s Day! I’m pretty excited myself because I know they are going to love it! Got any fun plans for Valentine’s Day? To find additional digital coupon offers and Valentine’s inspiration, click here.